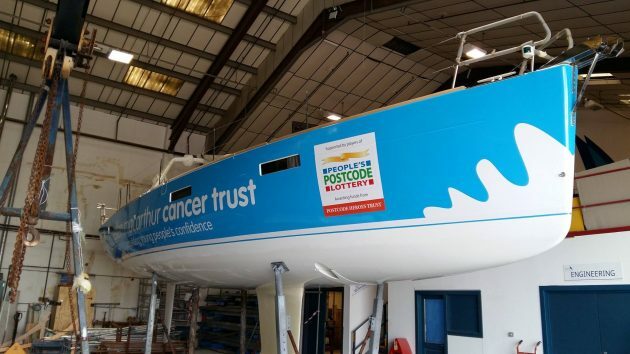 Yachting Boating World: The Ellen MacArthur Cancer Trust has bought its first yacht based in Scotland, following support from players of the People’s Postcode Lottery. For the first time, the Ellen MacArthur Cancer Trust now has a yacht based in Scotland. It will operate out of the charity’s newest base in Largs, which opened in 2013. The trust received £200,000 from players of the People’s Postcode Lottery to invest into a yacht in January. It is hoped the new vessel will allow the trust to better support young people from the North of England and Scotland with mobility issues resulting from their cancer treatment. The Largs base is now in its third summer of operations. However, so far the trips have been run using chartered vessels which has limited the trust’s flexibility. It also has an ongoing cost. “This new yacht will allow us to provide a better experience for our young people with mobility issues from Northern England and Scotland,” explained the chief executive of the Ellen MacArthur Cancer Trust, Frank Fletcher. “It will also make operations more cost efficient as the number of vessels needing to be chartered will be reduced,” he stated. Since 2013, the players of People’s Postcode Lottery have raised £750,000 for the trust. Following advice from yacht brokers, Ancasta, the trust has selected a Beneteau Oceanis 45. This was due to specific design features of this yacht such as a stern which lowers to pontoon level. Yachting Boating World: The Southampton Boat Show in September is set to showcase a variety of exciting new attractions, brands, boats and product debuts. Advance tickets are now on sale. There will be more than 60 debuting boats at the Southampton Boat Show 2016, which takes place on 16-25 September. Among them are the world debuting Hanse 588, Cormate U23 Racing Edition and Haines 26 and the European debuting Dehler 34 and Greenline Hybrid 36. There will also be the UK launch of the Azimut 55S, Sunseeker Predator 68 MK II, Sealine F530 and Fjord 40 Open. Every year, the show welcomes a mix of historic and innovative feature boats and this year is no different. On display at the show’s marina will be the Norwegian three-masted sailing barque, Artemis and the revolutionary Team Britannia vessel, which is bidding to break the world record for the fastest powerboats circumnavigation of the globe. The marina will have 2 kilometres of pontoons. Alongside well-established attractions, On the Water’s Try-a-Boat and Get Afloat, this year’s show will offer a new opportunity for the youngest generation to get on the water free. Suitable for children aged 3 to 13, Bumper Boats provides youngsters with a chance to master boat steering, as well as the boat’s built-in water cannon. Onshore, organisers will be looking to entertain further with its new Festival Stage, located in Solent Park. Throughout the 10 days, visitors can expect to enjoy a line-up of live music, fashion shows and expert talks. There will also be the opportunity for visitors to be part of the show’s very own Guinness World Record Attempt of the ‘Largest human image of a boat’ on 24 September. More than 27 new brands will also be exhibiting at Mayflower Park for 2016. On show are powerboat manufacturers: BIC Aluminium and Alpha-Centauri, sail yacht brands: North Carolina (EDPNC) and Nautor’s Swan, electronics and equipment suppliers: Racegeek, Aqua-cote and UK Sailmakers, as well as holiday & charter companies: Rubicon 3 and UGuest. This year’s Southampton Boat Show will be the first for Greg Munford in his newly appointed position as British Marine Boat Shows’ chairman. 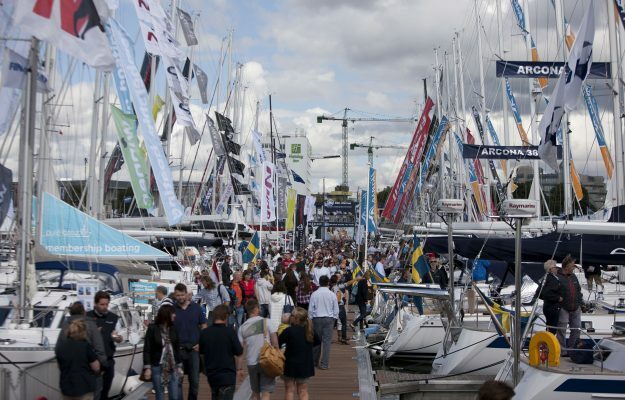 “As Britain’s biggest boating festival, the Southampton Boat Show is much-loved by sail and powerboat enthusiasts alike and one of the leaders in the global boating calendar,” said Munford. “We’re thrilled to have seen soaring tickets sales so far, which are now more than double what they were this time last year,” he noted. “Being a boater myself, the mix of new international and British brands who will be showcasing the latest boats and marine equipment makes this Show even more exciting for me to be a part of,” concluded the chairman.